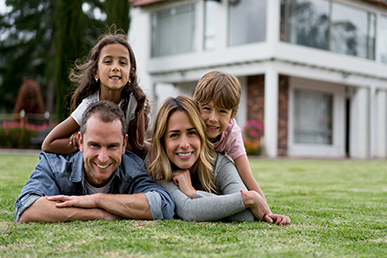 Joining this program ensure that the lawn care services you receive from Lawn Control Center are professional and thorough, which means your lawn will be green and pristine. Call us today to learn more! 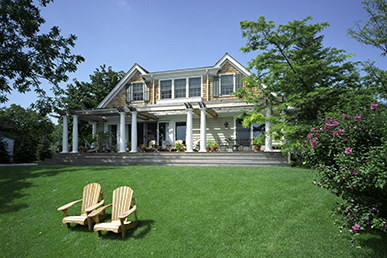 There are critical nutrients your lawn needs to grow and thrive. With regular applications of balanced fertilizer throughout the year, the certified technicians at Lawn Control Center will ensure that the roots of your lawn have all the nutrients necessary to stay strong and healthy. A healthy lawn also means your grass can better fight nutrient-stealing weeds, diseases, drought, and lawn pest problems—such as grubs and Chinch bugs. For our lawn fertilizer service, we use a dry slow-release lawn fertilizer to maximize performance and provide a constant influx of nutrients to your lawn’s roots. The benefits of using a dry, slow-release fertilizer are that, even if it does not rain for a while, the fertilizer will persist and will not go to waste or harm the grass. Liquid fertilizers can burn the lawn if it is really hot out and if rain is minimal. At Lawn Control Center, our dry fertilizer has a coding that breaks down slowly and helps the lawn get the fertilizer over time. Weeds are nuisances. Left untreated, crabgrass, and broadleaf weeds can crowd out the good grass. Additionally, weeds can steal nutrients and water away from your grass leading to unhealthy turf, unsightly weed growth, and a general decline in the appearance of your property. At Lawn Control Center, our lawn service professionals can perform regular inspections and spot treat troublesome weeds. With pre-emergent treatments early in the season, we can help stop crabgrass before it starts growing. We then use post-emergent treatments to prevent broadleaf weeds from growing. When you partner with the Lawn Control Center to perform your lawn care, you can expect to see lush green grass and no weeds and pests. From the smallest residential properties to large commercial properties, you can rely on our highly skilled and trained technicians to keep your lawn looking good. And although we are big enough to handle a property of any size, we treat each client like they are our only client. Contact us and discover the benefits of choosing Lawn Control Center for your lawn fertilization, pest control, and weed control needs.